9:21 technically this is a gap down day, which often rallies into 11:00. So maybe the first trade time will give a decent trade. 9:08 Today's trades are at 10:51 and 13:50 . 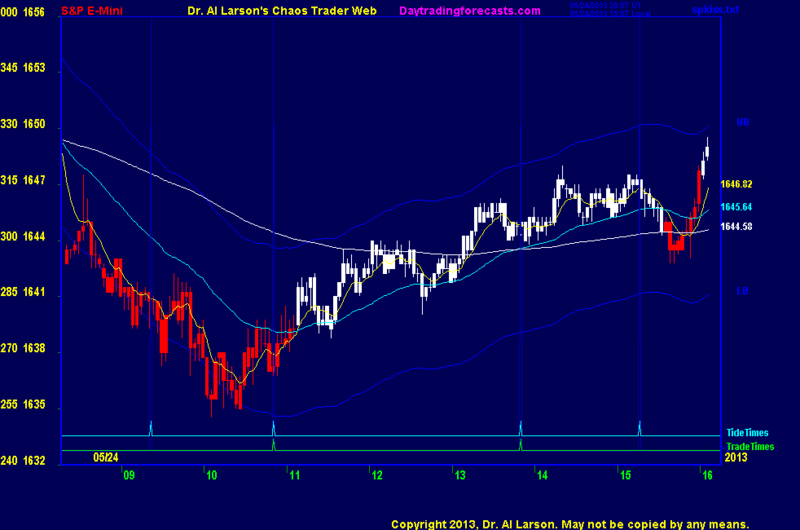 The second may be a pass if volatility is low due to the holiday weekend. 5/24/2013 9:25:25 AM MT Al****:: your computer must have talked to my computer!